Technicians play a vital role in the growth of film industry but they are slowly losing jobs to the rapid growth of modern technologies. In order to honor those senior most technicians in this 100th year of Tamil Cinema, filmmaker SP Jhananathan is organizing an event on May 1st, in which actor Vijay Sethupathi will give 100 sovereign gold medals to 100 senior technicians. This 100 sovereigns of gold is sponsored by Vijay Sethupathi. "I am here only because of the technicians and I know the value of them. Honoring them on this 100 years of Tamil Cinema is my blessing. Cinema is my family and the technicians are my family members. I sincerely thank SP Jhananathan sir for giving this wonderful opportunity to honor my family members. 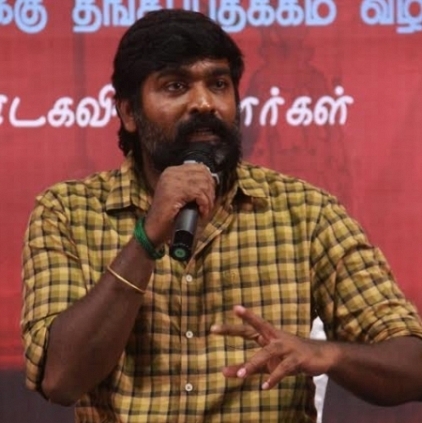 These are not medals to preserve but gold to be useful in the necessary times", says Vijay Sethupathi. People looking for online information on SP. Jhananathan, Vijay Sethupathi will find this news story useful.